NOAA also makes available historic data. Choose a month and a year between 1900 and 2007, and press display to show a map. The index is named for Wayne C. Palmer, a Weather Bureau researcher who devised it in the 1960's. The index is not simply based on current rainfall, and cannot be calculated from a simple formula. Determining index values for a region begins with a one-time mathematical analysis of the area's historical monthly rainfall and temperature data, often back into the 1800's. Evapotranspiration and runoff are predicted. This analysis yields 5 constants for each month of the year, characterizing the climate of the area. They are combined mathematically with current meteorological data and the previous month's index to get the index value for that region for that month. areas, not particular locations. Weather over an area is much less variable than weather at a single spot. On the other hand, because it is based in part on soil characteristics, the PDSI is no good for very large areas. months, not weeks or days. The PDSI was never intended to describe short term shortages of rain. Other indices such as the Crop Moisture Index, the Palmer Z Index and the short-term Standardized Precipitation Index do that. local norms. The advantage of using local norms is that it allows an index number to have the same meaning in different regions. A minus 3 drought in dry western Kansas would be similar in its economic effects to a minus 3 drought in humid Virginia, even though Virginia would be getting more rain. economic effects. In developing the index, Palmer did trial runs on historical periods and compared the index numbers generated with contemporary government records and settler's accounts. By design, the mathematics behind the index reflect economic effects. A peculiarity of the PDSI is backtracking: values previously reported for past months may be changed on the basis of the newly-calculated values for the present month. The Weather Bureau (now NOAA) has continued efforts to improve the PDSI. In June 1989 it modified the version it was using, a change which mostly affected index numbers during transition periods between droughts and wet spells. Subsequently the index is often called the Palmer Drought Index (PDI). Many federal and state government agencies use the PDSI (or PDI) as an objective means of determining when drought relief programs are needed. Fire agencies often use it as a basis for warnings of fire danger levels and to anticipate the severity of fires. Almost all users use the PDSI in conjunction with other measures, and as a qualitative indicator of trends. 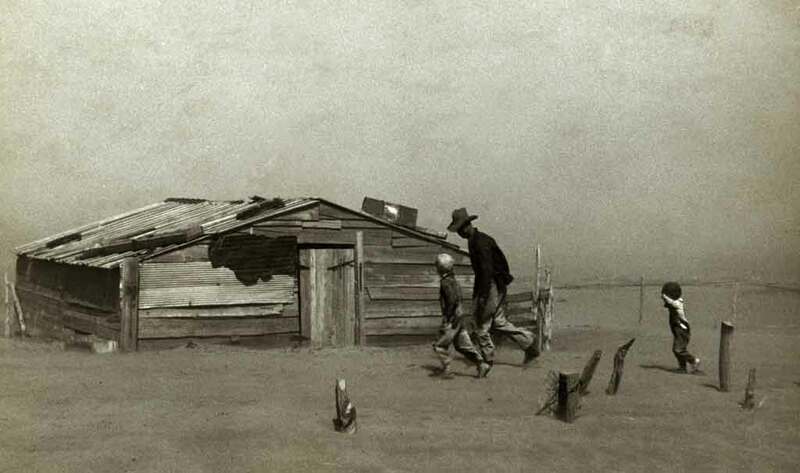 Drought is an extraordinarily complex subject, and in devising his index Palmer was forced to make a number of assumptions and oversimplifications, and insert constants he had arrived at in a seat-of-the-pants manner. Meteorologists have been pointing out these deficiencies ever since. For details see Alley, and Heddinghaus and Sabol, cited below. One factor the index does not take into account is snowpack, which (at least until the present warming) is important west of the Continental Divide. All precipitation is treated as rain, with immediate runoff. Palmer calibrated the PDSI for the U.S., mainly on records for western Kansas and Iowa. That limits its usefulness in, for example, Australia. The PDSI uses Thornthwaite's method for estimating evapotranspiration. Like the PDSI itself, Thornthwaite's method has numerous problems, but is in regular use, because no better method has become established. U. S. Weather Bureau Research Paper #45. Washington, D.C.: U.S.G.P.O., February 1965. The Palmer Drought Severity Index: Limitations and Assumptions. Journal of Climate and Applied Meteorology, volume 23, pages 1100 - 1109 (1984). Thomas R. Heddinghaus and Paul Sabol. A review of the Palmer Drought Severity Index, and where do we go from here? Proceedings of the Seventh Conference on Applied Climatology. Boston: American Meteorological Society, 1991. Copyright © 2001-2015 Sizes, Inc. All rights reserved. Last revised: 2 January 2016.